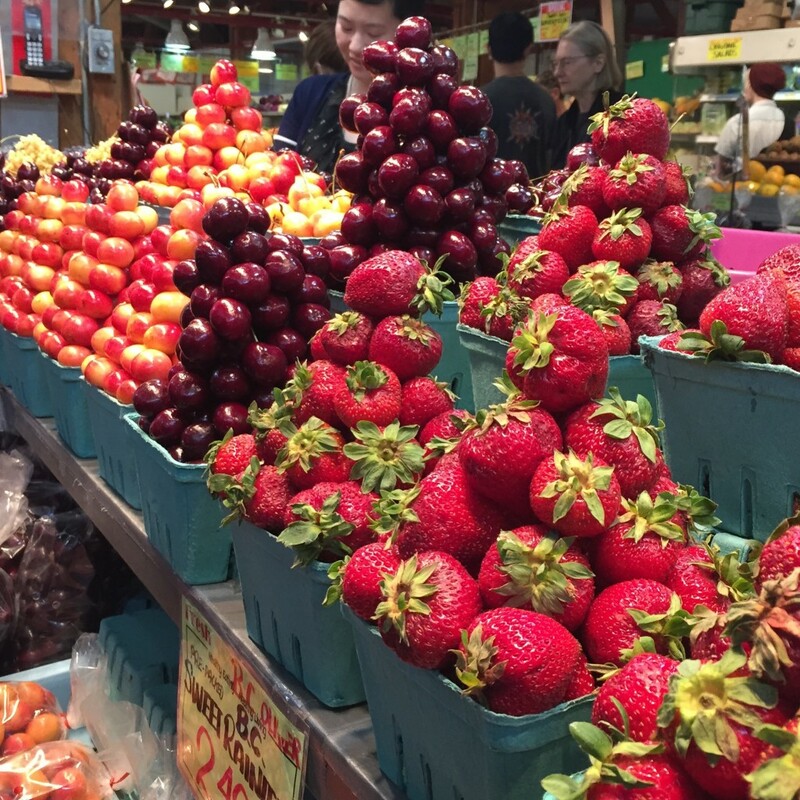 Berry season is in full swing, and the fruit displays were breathtaking. We had been at the Vancouver Farmer’s Market the day before and had stocked up on berries, so didn’t actually buy anything, but I couldn’t resist a quick snap of this! We’ve been putting the berries on EVERYTHING. Any excuse for oatmeal (topped with berries), salads (topped with berries) or just plain dessert with berries and cream. This brings me to this mouthwatering dessert recipe: Coconut Whipped Cream. It’s super simple, and because it’s free of cow’s dairy, will leave your tummy feeling great afterwards. Coconut milk is high in healthy fat (if you get the full fat), so it also balances out your blood sugar when you eat the fruit and is amazing for your skin. minutes prior, place your can of coconut milk in the freezer. You don’t want it to be frozen, but you want it to cool as this separates the liquid from the thick part. Place in the food processor and add 1 TBSP maple syrup (or a bit more if you want it sweeter), 1 tsp cinnamon and 1 tsp vanilla extract. Turn on the food processor and whip it for a good 30 seconds to a minute until it looks liked whipped cream. Scoop a dollop onto your berries and enjoy!